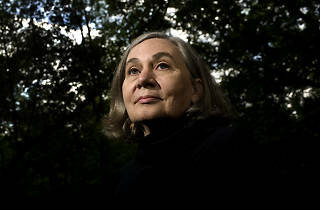 Photograph: Danny Wilcox Frazier/Redux NBCC finalist Marilynne Robinson. 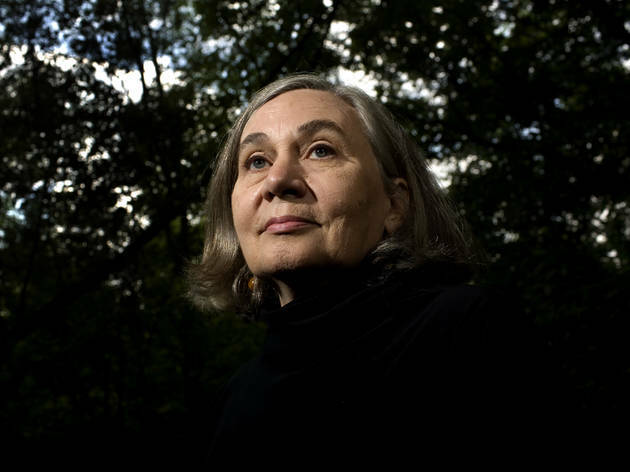 In Gilead and again in Home, Marilynne Robinson took readers to the fictional town of Gilead, Iowa, and into the life of beloved Reverend John Ames. In both, she unfolded graceful stories of the simultaneous simplicity and richness of any life and interwove the relatable mundaneness of a family’s history with an earnest spirituality unseen in most contemporary storytelling. In Lila, one of the most anticipated books to read this fall, Robinson charts the life of Ames’s wife, a drifter who, despite her limited education, engages with questions of existence and piety as adeptly as her husband. In a world where creative endeavors are getting louder and more extreme, clamoring for attention amid a flood of other works, Robinson’s success defies trends. A stunning continuation of her thoughtful oeuvre, Lila falls into its own genre: profound consideration of a life, without any fanfare. The author and I caught up by email to talk about her latest work. First, how did you decide to continue the Gilead story from Lila’s perspective? Lila opened some interesting questions for me. I knew that she would be entirely outside Ames’s world, a sensitive woman who has no received account of life or of the meaning of things but wonders about it all with severe honesty. Ames sees this in her. In Gilead, he says she didn't look as if she belonged in church, and she looked as if she were the only one who did belong there. He says she seems like someone with whom Jesus would have chosen to spend his time. There is that other side of Christianity, the one that remembers that Jesus seems not much impressed with conventional piety, and is gentle and courteous toward “sinners,” of whom my Lila might be counted one. I was interested in seeing her in that light. You’ve mentioned that Ames originally came to you as a voice and that you were surprised to have a male narrator. How did you find Lila’s voice? Did you find it more natural to write in one voice over the other? If I have a voice in my mind, I am at ease with it. Lila’s voice has a comparatively limited vocabulary, but I wanted her to be very expressive within the terms that are available to her. Lila has a particular affinity for the Book of Ezekiel, which she reads from and copies throughout her time in Gilead. Can you tell me a bit about how you chose that particular biblical narrative for her? That image, of the infant girl cast out to die, as many infants were in ancient cultures, then taken up by a passing stranger, has been striking to me for a long time. It seemed natural to me that it would be striking to Lila, too, since the perfectly arbitrary character of the abandonment as well as the rescue would help her pose questions that are central to her own life. Ezekiel is full of amazing visionary passages, which seem to her to do a kind of justice to the extremes of actual experience. Both Lila and Ames are quite haunted by their pasts, by the lives they haven’t led. Why do you think it’s so difficult for these characters to live in the present moment? I really don't think it is usual for people to live in the present moment, not very fully, in any case. Experience is always shaped by previous experience. The lives of both Lila and Ames have made them very aware that happiness is shadowed by potential loss. Ames is elderly; Lila is distrustful, deeply a stranger. They are aware of the instability all this implies. And they feel their happiness sharply. In one of my favorite scenes from Lila, she encounters a runaway boy in the shack outside Gilead, and her role quickly shifts from the untrusting, reticent person to the one reaching out to help another. When you were writing, where did the boy come from? I have no idea where he came from. People always talk about the creative process. My process is to try to do well by these spirits my mind somehow conjures, telling me nothing at all about their origins. I’m curious if you’ve seen the movie Boyhood. Viewers have commented that they continuously anticipated some terrible event in it, because we’re trained now to expect that from our stories. But nothing terrible does happen, it’s just a story of a life. The film’s thoughtful consideration of time’s passing reminded me of your work. I haven’t seen the movie. As you describe it, it seems to me to be the kind of departure from convention we need more of. I’ve heard some writers comment recently that contemporary fiction is expected to be comedy, and that other works, which don’t try to be funny, are discouraged both by readers and by publishers. What do you think about the roles of comedy and tragedy in fiction today? I think there is a tendency to generalize broadly on the basis of a publishing season or two. Some great books are very funny. The few serious or “tragic” books may be read for decades, when all the comedy is forgotten. Writers should write what they want to. The life of literature is mysterious, and long. Despite talking about their loneliness with each other, we don’t really see Lila and Ames’s relationship, their love, dissolving that state of being. Why not? Whether the pleasures of the dearest company can sink into the bones, alter the sense of the world in someone who has been habituated to loneliness, this I doubt. Ames and Lila have in common the knowledge that solitude has its own comforts, its own pleasures. They are the best of companions, in this sense. How did you know you had finished Lila? It just ended. My books do that. I come to a place where it feels that more would be forced, extraneous. I revise very little, so changes within the fiction are never an issue. Can you speak about what you’re working on now (besides teaching, of course)? At the moment I am dealing with events and travel meant to see Lila into the world. I will be on leave next semester because I feel as though I should be writing. There is a nonfiction manuscript I want to return to, and there is a fictional voice in my head. I look forward to seeing what emerges.